Forty years ago one of the greatest bands on the rock scene released their most iconic album. 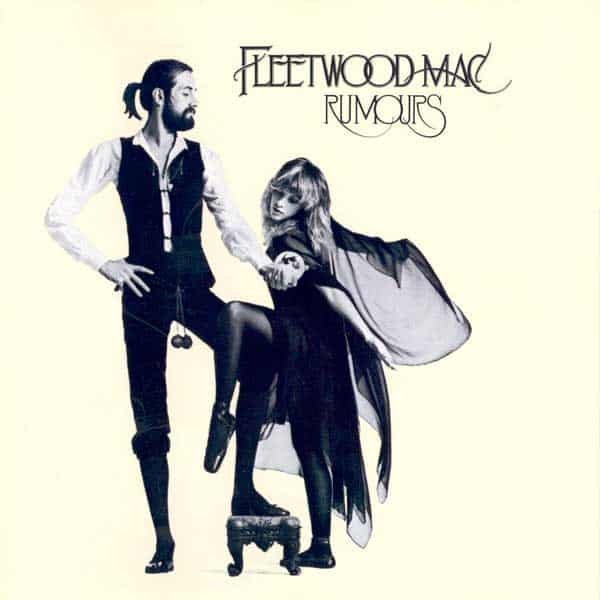 Fleetwood Mac’s Rumors released on February 4, 1977. The album won the Grammy for Album of the year in 1977. It sold over 45 million copies and was a huge hit. However, behind the success was a struggle within that band, which emerged through the songs on Rumors. The band was under a serious strain after their 1975 self-titled album Fleetwood Mac released. The entire band wanted to expand on the success, hoping to have a better follow-up for their next album. Unfortunately, the band was dealing with personal and professional breakups before the start of Rumors. Different lifestyles started to clash within the band, and having non-stop world tours did very little to help. Bass guitarist John McVie and Christine McVie were still married and after just six months of their non-stop shows they divorced because of the tension. Bob Welch had also left the band before the 1975 album. 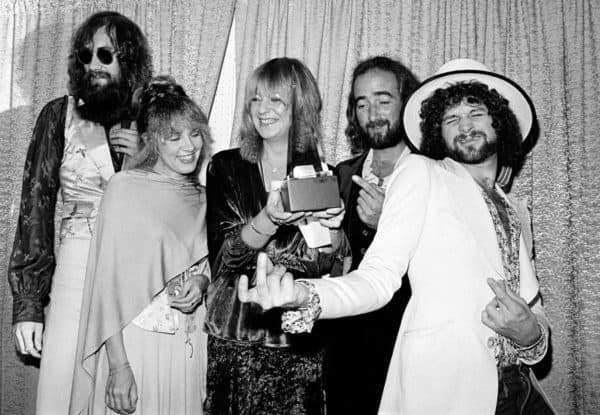 Even Mick Fleetwood himself was going through troubles as the news of his wife Jenny’s affair arose. The press wasn’t helpful either, publishing false and inaccurate stories about the band. Some news stories included Christine McVie being hospitalized for a serious illness. Others involved revealing Lindsey Buckingham and Stevie Nicks to be the parents of Lucy Fleetwood. Some even spread rumors that original band members were returning to do a 10th anniversary tour. The truth was, though, that the band wasn’t changing their line-up. There was the issue that the band, at that time, had no time to mourn, or even come to terms with, so many relationships ending. Fleetwood himself attested that everyone made “tremendous emotional sacrifices” to just attend sessions. However, these struggles and sacrifices made the track list even more emotional and heart-wrenching. Late night parties and drinking sessions occurred before recording even began. The band thought that if the songs were done in their worst emotional state, their lyrics would have a greater impact. Everyone played a part in the band’s problems. Musically speaking, though, they all knew how to compliment one another. Making the problems something beautiful. In the end, the band made a timeless classic. Tracks like “Go Your Own Way” represented the views on relationships for some band members. A song that was more pessimistic while “Dream” was one for those who had hope for love. “Gold Dust Woman” spoke of the hard times in Los Angeles and also the struggle of addiction for Stevie Nicks. “Songbird” was also one that was like a little prayer for the whole band. My favorite song out of the whole album is “Go Your Own Way.” That song is my take on relationships and how I feel when a relationship turns sour. I don’t have a way to really feel better, so I try to think of our paths being what they are. Then looking forward to what I hope they can be. “The Chain” is another one of my favorites, and it really speaks of how loving someone won’t always be great. Really getting to something profound, in that, if you want to break it with someone, you have to shatter the connection with that person. Otherwise, you are never really free from that bond. The legacy left behind for this band lies in Rumors. This album speaks to any generation around currently and in the future. The heartbreak, the emotions, the raw energy in this album is timeless. It is for everyone to enjoy and to listen, while also having a feeling of nostalgia and sadness. This album makes it OK to cry, even forty years later.